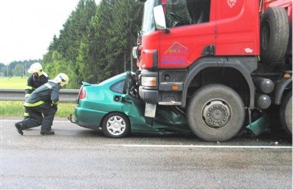 Truck Accident Personal Injury and Wrongful Death Accident Lawyers San Marino, California! Need Experienced and Reliable Lawyers and Legal Counsel To Handle Your Truck Accident Personal Injury Or Wrongful Death Claim? Truck, car, motorcycle and bicycle accidents in San Marino, California sometimes cause very serious injuries, sometimes even deaths with wrongful death accident claims. Our injury accident attorneys comprise a team of truck accident legal experts handling personal injury and wrongful death claims for over 40 years. Serving clients in San Marino, California, we leave no stone unturned to protect the legal rights of our clients and work zealously towards bringing justice to them. Our injury lawyers and law offices employ all our legal skills, coupled with 40 years of experience successfully handling thousand of personal injury & wrongful death accident claims, to achieve the maximum monetary compensation for them. We also help obtain medical care, resolve property damage claims and arrange transportation to and from doctors as needed for our clients. To see what our clients think about our accident injury lawyers, please see our Testimonials. Also, for a fast and FREE consultation, simply call us now at 818-222-3400 or 1.866 INJURY 2 (after hours dial “1”) or just click here to contact us 24/7. We gladly provide FREE consultations & case evaluations; and on injury accident cases we work on a contingency fee which means we only get paid when we WIN. Thus, our fee comes out of the recovery which means it is really paid by the insurance company and does not come out of your own pocket. TRUCK ACCIDENTS in San Marino cause devastating injuries, often requiring the assistance of experienced truck accident personal injury attorneys. A city in Los Angeles County, California, San Marino has a population of 13,147, as per the 2010 US Census. Moreover, San Marino has a total area of just 3.8 square miles, virtually all land. Located in the San Rafael Hills, San Marino is home of El Molino Viejo ("The Old Mill"), a grist mill for Mission San Gabriel Arcángel. Further, the Edwin Hubble House is a National Historic Landmark of San Marino. Besides this, The Michael White Adobe House on its high school campus features the San Marino Historical Society archives. 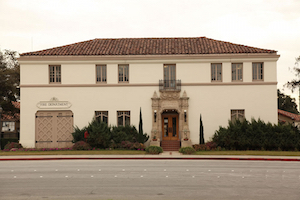 The President of the University of Southern California (USC) resides in a house in San Marino, owned by the university. Lacy Park, formerly known as Wilson Lake, occupies a 30-acre portion in the middle of San Marino. 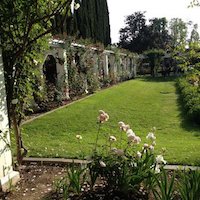 At the west entrance of the park lies the Rose Arbor, which has been of special significance for local residents. Many scenes from various movies have been filmed in the regions of San Marino, such as Mr. & Mrs. Smith, Monster-in-Law, Anger Management, Starsky & Hutch, Men in Black II, Charlie's Angels, Beverly Hills Ninja, Legally Blond, and The Wedding Singer. Besides this, television shows including, Felicity, The West Wing, and The Office have been set against locations of San Marino. Some of the notable residents of San Marino have included Peter Dervan, the award-winning professor at Caltech, Darren Dreifort, a former MLB pitcher for the Los Angeles Dodgers, Mark Cronin, an American TV producer and writer, Stephen Hillenburg, an American cartoonist, and Bradley Whitford, an American actor, who was featured in Studio 60 on the Sunset Strip, The West Wing, and Billy Madison, among others. Vehicle Repairs: Sometimes traffic road accidents can leave your truck, car or other vehicle disabled in urgent need of repairs r replacement. We assist you with your vehicle repairs, including with towing, storage and FREE loan cars. Medical Care: Traffic road accidents often mean that medical care becomes absolutely necessary. We help our clients find the doctors, physical therapists and other health care and medical professionals who provide necessary treatment and other medical procedures for victims, including prescription medication and X-rays, CTs and MRIs, for instance, usually on a lien basis. That means these medical experts usually wait for their payment until you have resolved your claim! Cash Advances/Emergency Loans: Mindful of the fact that traffic road collisions can bear adversely on your sound financial state, including due to high medical bills coupled with loss of income, we work to procure cash advances or emergency loans for our clients when appropriate. Transportation to Doctor: We help arrange needed medical appointments for our clients and also arrange transportation to doctors when needed. Just let us know! If you were injured or a family member killed with a wrongful death claim due to a truck, car or other accident in San Marino or anywhere in Los Angeles, please contact us now for an absolutely FREE truck accident or personal injury consultation & case evaluation in San Marino, CA. Just click here. Further, take a quick look at our lawyer profiles to know about the credentials of our expert personal injury attorneys. Further, to learn about the sometimes complex process of handling truck accident claims, we invite you to read through our Truck Injury Accident Web Site; and for specific advise on your own case, just call us now at 818-222-3400 or 1.866 INJURY 2 (after hours, dial “1’) or simply click here 24/7. Why Use Our San Marino Truck Accident Personal Injury & Wrongful Death Attorneys? Graduate of The UCLA School of Law, 1975. A four-decade-long (and still ongoing) continuous membership with the California State Bar. Resolved our personal injury & wrongful death accident cases with a success rate of over 95%. Recovered compensatory settlements for our clients over $100,000,000.00. For a quick FREE legal counseling, fill-out the details in our contact us form and let us know about your San Marino, CA truck accident case or any other injury case in San Marino, Los Angeles or anywhere in California.. Besides a FREE consultation, we work on contingency fees on truck accident and other accident injury cases which means that we don’t charge anything until You WIN!